But my problem goes way beyond 14 books. Way. Beyond. So, I’m setting up some rules for 2018, the first one being that I cannot purchase any new books until my birthday at the end of July, and then again at the holidays. If I want to read something that’s not on my shelves, I have to go to the library. I have only one exception, which is a book I pre-ordered in 2017, Michelle McNamara’s I’ll Be Gone in the Dark. I was a fan of her blog, True Crime Diary, and her work on the Golden State Killer case (so chilling) and was happy to hear that her husband, the actor and comedian Patton Oswalt, was seeing to it that her book would still be published after her untimely death in 2016. That’s coming in February, so until July, that’s it for me. I also plan to limit myself to buying three books, which will be a total of seven for the year. To be honest, I’m actually hoping that I get to my birthday and decide I don’t want to buy anything at all. 2018 should be an interesting year! 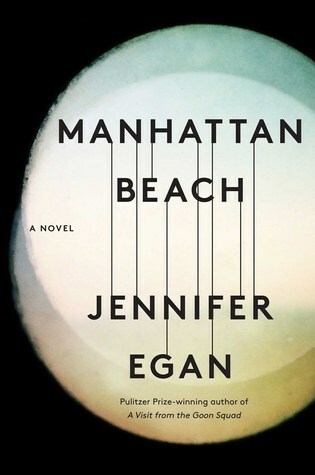 I finished Jennifer Egan’s Manhattan Beach yesterday, and I wish I had someone to talk to about it, spoilers and all. I’ve seen lots of lower-than-expected ratings for this book, but I generally thought they were due to most people only having read her Pulitzer Prize-winning novel A Visit from the Goon Squad. As a work of historical fiction, Manhattan Beach is vastly different from Goon Squad, a book I admit I did not love as much as everyone else did. Anna Kerrigan lives with her father, mother, and severely disabled sister Lydia in Brooklyn. At the beginning of the novel she’s 11, and running an errand with her father, to whom she is clearly very close. In a borrowed car (that used to be his own—he had to sell it after the Crash), he takes her to a large, well-appointed house that overlooks the sea. It’s here that she first meets Dexter Styles, a gangster her father is trying to get in good with, although she knows none of this at the time. Left on her own with Styles’s children, she finds herself drawn to the ocean. 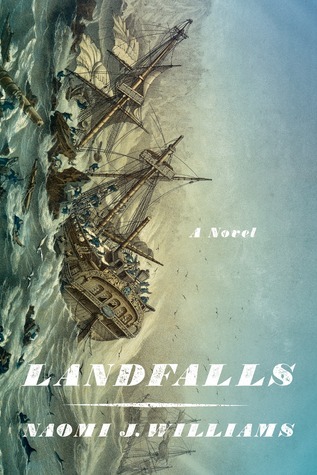 Eight years later, Anna’s father has been missing for several years, and goes to work at the Brooklyn Naval Yard to support the war effort (and her family), and she will find herself desiring to become a diver, going into the depths to clear wreckage and to perform repairs on docked ships. She will also meet Dexter Styles again. Now, Egan clearly did a lot of research for this book, and I certainly cannot fault the book’s atmosphere. If anything, she’s just over the line of too much detail, but not so much that it gets in the way of the story. The characters are well-developed and interesting, especially Anna…at least until about two-thirds of the way through the book, when she makes a decision that simply doesn’t ring true for her character, and that one decision breaks the book—or at least it did for me. Why? Because after that point, I felt like I could predict so much of what was coming, because the plot becomes standard issue. If you’ve read enough fairly decent literary fiction or seen enough movies, I imagine the same thing will happen for you. You’ll find yourself thinking, “Please, please don’t let her [fill in the blank]…,” and then she does [fill in the blank]. And if I’m being honest, one can go all the way back to the beginning, when Anna first meets Dexter Styles, and see much of the setup. I did, but I hoped against hope it wouldn’t take the easy direction. It did. In my opinion, the book’s other big flaw is a scene that takes place about three-quarters of the way through that just seems so far-fetched and preposterous and out of character that…well, it made me almost not finish the book. And so that’s that. Not much of a review—really more of a complaint. Egan has said in numerous interviews that this book took her nine years to write and tremendous effort to wrangle the story into its current shape. She clearly took a lot of care in her research, but I do wish that she’d found a way to make the story less pedestrian. I don’t mean for that to sound unkind, although I suppose it does. I can’t imagine what a huge task it must have been to pull everything together. The thing that bothers me the most is that all that needed to happen to make the story less ordinary was to have Anna make a few different choices. At the age of 82, Sheldon Horowitz has been transplanted from Manhattan to Oslo, Norway. Sheldon’s granddaughter Rhea brings Sheldon to Oslo to live with her and her husband Lars after the death of her grandmother, Mabel. Rhea believes, as did the late Mabel, that Sheldon is suffering from dementia that started when his son Saul (Rhea’s father) was killed in Vietnam in in 1975 and has slowly continued to worsen over the years. Sheldon insists, for example, that he was a Marine sniper during the Korean War, rather than the file clerk they believed him to be, and he continues to see the enemy everywhere—around corners, behind trees. He thinks they are always watching, waiting to get revenge. But the truth is more complicated than that. And that sentence, in fact, could sum up this entirely wonderful, perfectly paced thriller, Norwegian by Night. Sheldon is hapless and guilty. He believes he owes American his allegiance for helping to liberate Europe from the Nazis. As a young Jewish American, he was too young to join the war against the Nazis, so instead he volunteered during the Korean War, joining the Marines. When Saul joins the Navy and heads off to Vietnam, Sheldon is proud of his patriotism, but when Saul returns from his first tour of duty physically unharmed but mentally distressed and wanting to talk about the horrors he experienced, Sheldon tells him to set it behind him and move on with his life. Saul signs on for a second tour and is killed shortly after returning to Vietnam, and Sheldon believes he is responsible for his own son’s death. But the truth is more complicated than that. One afternoon when Rhea and Lars are out of the apartment and Sheldon is home alone, he hears a violent altercation between a man and a woman in an upstairs apartment. The argument escalates, and he hears the woman leave the apartment. Peering out the peephole in the front door, he sees the woman stop. In his mind, he faces a test: will he refuse entry for someone who has nowhere else to go? Will he sit silently behind the door the way so many Europeans did when they knew their Jewish neighbors and friends needed a place to hide? Sheldon’s actions will send him on a tour of Norway with a small boy in tow. But the truth is more complicated than that. The man, Enver, who was involved in the altercation is the boy’s father. He’s a refugee from Kosovo, where he fought bravely and brutally against the Serbs for independence. With the war ended and the Kosovo freed, he wants to take his son and return to his home. He’ll stop at nothing. As he pursues Sheldon and the boy, Enver is pursued by Sigrid, a Police Chief Inspector for her district in Oslo. But the truth is…Okay, I’ll stop doing that. But. The truth is this story is humorous and sweet, melancholy and tragic, fast-paced and thrilling. 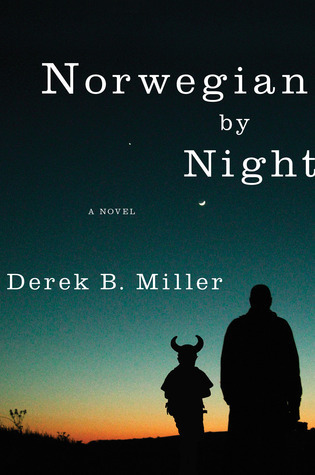 Derek B. Miller masterfully navigates this third-person narrative told from alternating points of view, presenting at one time a novel that’s both personal and political. The weight of history—family history, national history, religious history—weighs on every character, informs every action. The pride and loneliness of people who are forced to wander, the way they carry their stories and the stories of the people they love, are at the center of this beautiful novel. I long to tell you more, but I don’t want to spoil it. Miller has done such a terrific job at revealing details that move the story forward at just the right moments that to know too much could spoil the pleasure in turning the page. I had a tough time putting it down, and I hope that you will, too. I have long been meaning to get back to this blog. Every book I read, I think, “This is a good one…so much to say!” And then I say nothing at all, just move on to the next book. I think part of my lack of drive has to do that I’ve almost dropped social media entirely. The only things I look at with any regularity are Goodreads and Instagram, and because I’m not very good at capturing moments in photos, I rarely post anything on the latter. Being away from social media also means being away from the book discussions, something I greatly miss. I keep telling myself that’s a good reason to get back to blogging, but then again, can one blog without participating heavily in social media? A discussion for another time, perhaps. Because I’ve been out of the fray and therefore away from influence, I’ve been meandering from book to book. I’ve had a surprisingly good reading year so far, with no slumps to date and only one book I completely abandoned halfway through, The Story Hour by Thrity Urmigar. The characters were flat, and the plot was completely contrived, and that’s all I’ve got to say about that because I’m not here to talk about the bad stuff. I’m here to talk about just a few of my favorites (so far). 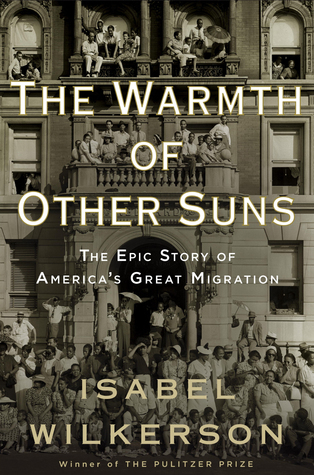 The Warmth of Other Suns: The Epic Story of America’s Great Migrations by Isabel Wilkerson is an absolute must-read, especially during our current climate. I wish I could shove this book into the hands of so many people I know who continue to make assumptions about African Americans based on a lot of propaganda circulated in the early Twentieth century. Wilkerson follows the journey of three African Americans from the South to the North during three decades, the 1930s, 1940s, and 1950s. Interwoven with these stories Wilkerson uncovers the bigger picture of this migration of African Americans from the South to the North that took place over the course of six decades, from 1915 to 1970, debunking myths along the way that have continued to perpetuate negative stereotypes. It was fascinating and infuriating and difficult to put down. Hellsmouth, an indomitable thoroughbred with the blood of Triple Crown winners in her veins, runs for the glory of the Forge family, one of Kentucky’s oldest and most powerful dynasties. Henry Forge has partnered with his daughter, Henrietta, in an endeavor of raw obsession: to breed the next superhorse, the next Secretariat. But when Allmon Shaughnessy, an ambitious young black man, comes to work on their farm after a stint in prison, the violence of the Forges’ history and the exigencies of appetite are brought starkly into view. Entangled by fear, prejudice, and lust, the three tether their personal dreams of glory to the speed and grace of Hellsmouth. 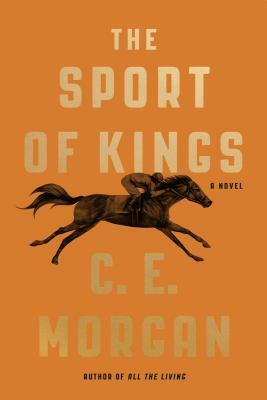 Morgan’s prose has an abundance, a lushness, that is rare in these days of pragmatic, minimalist prose or the nudge, nudge, wink wink of irony that’s become all too common. I’m not kidding when I say I felt like I was reading The Great American Novel. All at once it reminded me of Steinbeck and felt like something completely new. That’s not to say it doesn’t have its flaws, but the overall effect is so powerful they simply don’t matter. I plan to read this one again soon, so maybe next time I’ll get around to writing a dedicated post. 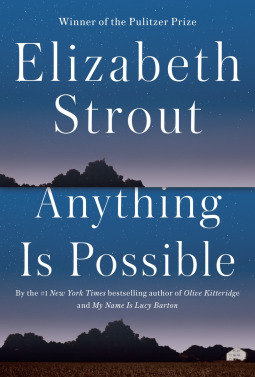 My husband surprised me with a copy of Anything Is Possible by Elizabeth Strout. These connected stories cover the lives of people that Lucy Barton and her mother gossip about in Strout’s previous novel, My Name Is Lucy Barton. I was planning to read Lucy Barton first, but I was so excited I started this one immediately. Although I loved Olive Kitteridge, the last book I read by Strout was The Burgess Boys, and it left me feeling underwhelmed. Not so with Anything Is Possible. She brings the same detail and care to her small-town Illinois characters as she did in Olive Kitteridge. At her best, Strout reminds me of Kent Haruf in the way she writes about regular people going about their quiet lives. I loved it so much that I decided to read My Name Is Lucy Barton right away…and was disappointed. One of my favorite books of all time is True Grit by Charles Portis. I also happen to love a good Western. Because of this, Joe R. Lansdale’s novels kept popping up in my recommendations on Amazon and Goodreads. 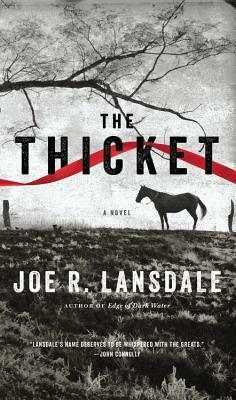 I chose to start with The Thicket, and I was not disappointed. When Jack Parker loses his parents to smallpox, his grandfather comes to take him and his sister Lula to live with their uncle. Along the way, they meet with a rough group of bandits who kill Jack’s grandfather and kidnap his sister. Jack is alone until he hooks up with a pair of bounty hunters, a freed slave named Eustace and a dwarf named Shorty, who offer to help him track the gang and find his sister in exchange for the land he inherited from his parents. As tragic as it all sounds, this book is laugh-out-loud funny and sharply written, with well-developed characters and a perfectly paced plot. Usually I could pull together ten titles for this list. Going back through the forty-two titles I’ve read this year, I have plenty more four- and five-star reads in the list, but all in all these are the only ones that really stand out for me. It’s strange to have a pretty good reading year but feel so meh. That said, I re-read both Ann Patchett’s Commonwealth and Patti Smith’s Just Kids this year, and they were both just as stunning as they were the first time around. It didn’t seem fair to include them in the favorites so far list, though. I also started two new series that I am very much enjoying: Louise Penny’s Inspector Gamache series and Donna Leon’s Commissario Brunetti series. I read a couple of J. Courtney Sullivan’s books, Saints for All Occasions (her latest) and Maine and greatly enjoyed them both. I picked up the former on a whim because The Washington Post‘s Ron Charles gave it such a glowing review; I read her first novel Commencement when it was published and thought it was only so-so, but she’s developed quite a bit as a writer, so I’ll be looking forward to whatever she writes next. I was also pleasantly surprised by two very different books about the art world, Molly Prentiss’s self-assured, impressive debut Tuesday Nights in 1980 and Dominic Smith’s The Last Painting of Sarah de Vos. Okay, so maybe it’s not all as meh as I thought. I should also mention War Torn: Stories of War from the Women Reporters Who Covered Vietnam, which includes nine first-person accounts from women who were some of the first to cover combat. This would be a great companion read if you’re planning to watch Ken Burns’s series on Vietnam (I am!). Outside of books, the best (and most troubling) thing I experienced this year was the original Netflix series The Keepers, about how the unsolved mystery of the murder of Sister Cathy Cesnik in November 1967 uncovered a horrifying web of abuse and conspiracy between the Catholic diocese of Baltimore and the Baltimore city government to cover up any number of allegations. The women at the heart of this story are absolute heroes. It’s very difficult to watch but absolutely gripping, and I’m so happy for these women that they’ve been given a platform to tell their story. Of course, a little justice would be nice. Or a lot. How about you? How’s you’re reading year so far? If you read any of these, please share! Get it? “Hey, you, get off of my shelf…” You know, like “Hey, you, get off of my cloud…” The Rolling Stones? Anyone? So last week’s Top Ten Tuesday (hosted by The Broke and The Bookish) topic was something that makes us instantly want to read a book, so let’s see if you can guess this week’s topic. YES! You in the back row with the yellow shirt (totally your color, by the way), that’s right. Today’s topic is what instantly makes us NOT want to read a book. (Hm. 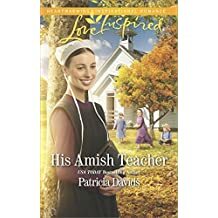 These were listed on Amazon under “Best Amish Romance,” like that’s a thing. By the way, my search history is so wrecked now. And no, I wouldn’t read these even if they had a better cover, so maybe not the best example.) Put a woman in a bonnet on the cover of your novel, and I’m probably going to walk on by. I also avoid clowns, most wizards, and evil cat eyes. And while we’re at it, I seriously hate movie tie-in covers, and I’ll go out of my way to find a copy without one if the book has been turned into a movie/TV show. One thing that seriously annoys me about Kindle books is that Amazon now automatically updates covers to the movie/TV-show tie-in. STAHP. Its title is too dumb to say out loud. Okay, that’s a little over the top. Maybe. Except my Mom tried for years to get me to read a book called Fair and Tender Ladies (by Lee Smith), and I resisted with every fiber of my being because ugh. That title. And then there are titles like Where White Horses Gallop and Butterflies Dance in the Dark. Please! 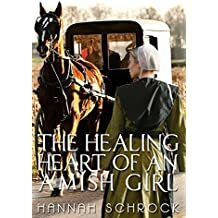 (And, of course, the above-pictured The Healing Heart of an Amish Girl.) If any of these are your favorite books, I am sorry (on so many levels). Except you know what? Fair and Tender Ladies is a really wonderful book. I’m not kidding. It’s been blurbed by Jonathan Franzen. I read The Corrections and it was good. Not the best novel of a generation, not the Best American Novel, but good. I’ll probably read Freedom and Purity at some point. All that to say, nothing about an endorsement from Franzen will make me hurry to pick up a book. And apparently I’m not in a hurry to pick up his books, either. It’s been compared to A Heartbreaking Work of Staggering Genius. This is the book that broke Dave Eggers for me. I like McSweeney’s and The Believer and he does a lot of good for literacy with his 826 Valencia project. Any comparison to that book makes me think, “Hm, so navel-gazing, self-aggrandizing, SO POSTMODERN Tristram Shandy ripoff” is not going to have me reaching for my wallet. It’s written by Dave Eggers. See above. I don’t know why, I just haven’t been able to do it. Lots of people whose opinions I trust think he’s a great writer. On the other hand, I have several titles by Vendela Vida on my TBR. She’s his wife. So that’s something, yes? Come on, someone talk me out of this one and convince me to read one of his books. This is a cry for help. It’s the first book in a series. So many good series exist out there, but I don’t have that kind of time. I have too many books on my TBR list as it is. So while I am really, really curious about, say, Donna Leon, I probably won’t be rushing to pick up one of her books any time soon. I still have to get through all of Laura Lippman’s Tess Monaghan series and Louise Penny’s Inspector Gamache books first. Bah. It’s self-published. I know. The Martian was self-published, and look what happened there! You can now buy the book with the movie tie-in cover! It has Matt Damon on it! Look, getting published is not easy. Some self-published works out there might be really good. And you do hear about some breakout authors (Hugh Howey, Amanda Hocking) who make a lot of money or get book deals. It seems, though, that a lot of self-publishing happens in genres that don’t interest me all that much (fantasy, romance). I also imagine I would spend more time editing (in my mind, anyway) these titles than reading them. Its description includes the words “magical realism.” I’m not saying I don’t like magical realism. I’m just saying I won’t rush to pick it up. It’s titled Fifty Shades of [You Name It]. Do I need to explain this one? It features a precocious child or an animal as the narrator. Children’s voices are hard to get right, and most adults can’t do it. There are some exceptions. (Don’t come at me with Room because I didn’t make it past page five on that one, and don’t think the movie tie-in cover with Brie Larson will help because I didn’t see the movie.) And I like dogs, but I’m not really interested in any novel narrated by one. Plus, if a dog is narrating, you know the ending will be sad. It’s a given. Don’t pretend it’s not. Your turn*…what keeps you from instantly picking up a book (or from picking it up at all)? *I love connecting with other readers, and I enjoy hearing from you if you have something fun to share. If you are just here to leave a lame comment so you can post your own link (“Great list! Here’s mine!” or “Me, too! Here’s mine!” ), please don’t waste your time. A lovesick and awkward young woman, haunted by the ocean that her father disappeared into years before, convinces herself she is a mermaid to escape her dreary, small town life and find her true identity. It’s short, but it smacks of the fantastical. It practically screams EXPERIMENTAL. From that description, you probably would expect at least a few sections with run-on sentences that go on for several pages at a time. After all, nothing says EXPERIMENTAL like stream-of-consciousness, amirite? She convinces herself she’s a mermaid…why did I check this out again? I’m not a big fan of fantasy, after all. The highway only goes south from here. That’s how far north we live. There aren’t many roads out of town, which explains why so few people ever leave. Things that are unfamiliar are a long way off and there is no direct route to these things. Rather it’s a street to a street to a road across a causeway to a road across a bridge to a road to another road before you reach the highway. People often suggest that it would be better if we knew for certain whether or not my father is dead rather than just disappeared. That to me seems cruel, as if they want me to abandon all hope. That is how dreary people try to keep things here on dry land. Despite them, I remain hopeful. Even though the way I remember my father and these things he once said is becoming more and more like the way a page of paper yellows with time or the way a dream slips ahead of the waking dreamer or the way people get hard-skinned with age and use that hard skin like a file to toughen up their children. Am I mermaid? I once was certain. But now the older I get, the vaguer things become. She loves a man named Jude, and Iraq war veteran who is fourteen years older than she is, but although Jude cares for her he does not return her romantic feelings. The thing about this book, about Hunt’s writing, is that she normalizes the fantastical. The narrator—who is isolated and lonely, with no friends her own age—for a good portion of the story seems simply quirky and naïve, a young woman who has held on too long to childhood because she’s unsure how to become an adult, especially in a place with so few opportunities for her, so few models to follow. With little else to occupy her time, she thinks about Jude. She follows him around town. The shifts are subtle. She’s quirky. And then maybe she’s depressed. And then when things take a turn the full reality becomes apparent to the reader, who is maybe just invested enough to wonder: what part is real, and what part is a fantasy? In hindsight, everything seems clear. But in the telling, not so much. 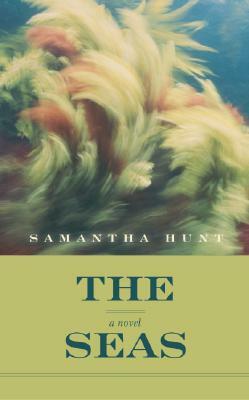 Hunt has said she wrote The Seas originally as a book of poems. She said in a Powell’s interview, “I learned to write by hanging out with poets, and I’ve never abandoned the idea that every word should be handled and adored. Making the world from 26 letters is my delight.” I love that so much: every word should be handled and adored. What a difference that is from taking words, shoving them into cheap, shiny gowns, painting their faces, and then pushing them onto a stage and forcing them to perform. Tonight the mass of girls before me in the arena, swarming like insects, raises a question of economy. How many waitressing shifts, humid summer jobs, and hours babysitting does it take to hold these five boys aloft, to lard the fiefdom? How better might these girls’ energies be spent in humanitarian projects and education? And how best to understand their mania without dismissing it as a fault of their youth or gender? I think I have a new favorite author for my list. Top Ten Tuesday (hosted by The Broke and The Bookish) this week asks us to list the top ten things that will make us instantly want to read a book. This is a tough one—I think next week’s topic about what makes us NOT want to pick up a book is easier—but I’ll give it a shot. It’s by a favorite author. Okay, that’s such a no-brainer, right? Obviously, we all look forward to books from favorite authors, but maybe we get to some a bit faster than others. As much as I love Lorrie Moore—and even though I had preordered a copy—it took me almost a year to read her most recent story collection. And I love Mary Gaitskill but haven’t read The Mare yet. But a new Alice Munro, Tana French, Donna Tartt, or Marisha Pessl? I want that book in my hands on pub day, if not before. It’s set west of the Mississippi. Hello, Larry McMurtry. Hello, Kent Haruf. Hello, Wallace Stegner. Wait…those were all men. Hello, Louise Erdrich. Hello, Molly Gloss. Hello, Willa Cather. It’s compared favorably (by someone I trust) to a book/writer I love. No, not looking at you, Gone Girl. You’re over your limit. But if a book is compared to, say, The Secret History, The Goldfinch, Commonwealth, Empire Falls, The Likeness…Somebody stop me before I list all my favorite books. You get the picture. Although sometimes these comparisons make me leary (still not looking at you, Gone Girl). 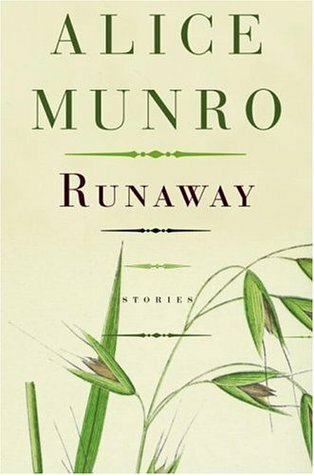 I’m sorry, but if I saw a book that said, “For readers who love Alice Munro,” I might be afraid I was going to get a cheap imitation, because honestly, who can compare? It’s set anywhere from coastal New England up to Newfoundland. I’m talking rocky coast, sea spray, the Atlantic, whales, fishermen, creaky old cottages with worn shingles, lighthouses—the whole shebang. 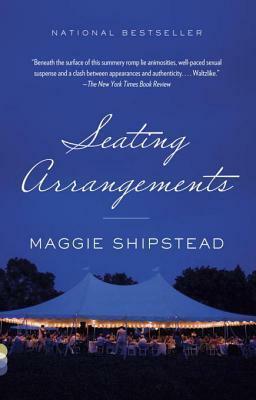 So anything from Seating Arrangements to Olive Kitteridge to Sweetland to The Shipping News. The gamut of the northern US/Canadian East Coast, if you will. It involves a clever twist. I’ve gotten a bit more wary about this one. (Okay, Gone Girl, I’m looking at you now.) Still, I do like a good twist. I really thought Gone Girl was masterfully done. And Sarah Waters’s Fingersmith (who’s twisting who?). John Fowles’s The Magus (twisty involving teacher at secluded Greek boarding school). E. Lockhart’s We Were Liars (twisty/New England combo).